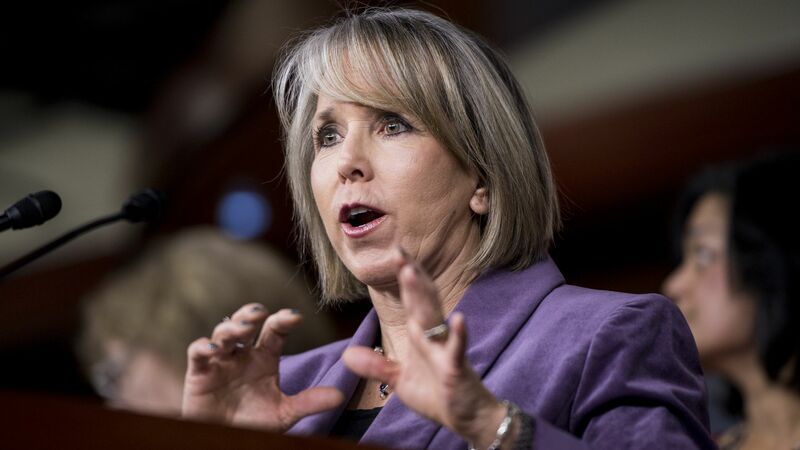 New Mexico Governor Michelle Grisham signed into law on Friday the sweeping “Energy Transition Act” (ETA), which commits the state to 100% carbon-free electricity by 2045, along with interim renewable energy targets. Why it matters: Despite the fanfare and handwringing in Washington over the Green New Deal, carbon taxes and related measures with little near-term political tractability, improvements in state-level clean energy standards have garnered bipartisan support and made meaningful market impacts. Details: The clean energy standard established by the ETA grew out of renewable portfolio standards (RPS), which 38 states and the District of Columbia use to mandate a given share of electricity production from renewables by a target date. More than 60% of U.S. renewables growth from 2000 to 2015 was driven by state-level RPS compliance. These state-level standards send the private sector a durable, long-term signal that clean energy is a stable investment, even if changes in Congress or the White House create policy whiplash at the federal level. Clean energy standards do not preclude the exclusive use of renewables to meet their targets, but are more technology-neutral and can thus accommodate nuclear power, carbon capture and storage (CCS), or any other technology that can compete on cost and zero-emissions credentials. What's next: California set the tone in late 2018 with a bill that commits the state to 100% carbon-free electricity generation by 2045, choosing this option over an alternative proposal for 100% renewables. A number of states across the U.S. heartland may now follow suit. New Mexico is among them and, unlike California, a major fossil fuel state (its energy mix is 50% coal and 20% natural gas). Although New Mexico’s plan calls for 80% of its electricity mix to be renewables by 2040, at least some of state’s fossil fuel fleet could theoretically continue operate through 2045, provided that CCS technology proves cost effective in coming years. The ETA will also allow New Mexico’s utilities to continue importing emissions-free nuclear energy from the Palo Verde plant in neighboring Arizona, which may prove more cost-effective. David Livingston is the lead for climate and advanced energy and deputy director in the Atlantic Council’s Global Energy Center.